IMPORTANT: Please note that not everything sold online or in stores (including the Boy Scout Store), adheres to the Pack 155 and Yahara District Pinewood Derby Rules. 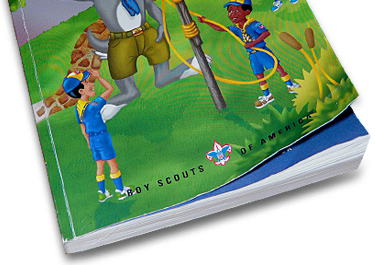 For example, axle guards are sold at the Madison Scout Center, but are not permitted at the Pack 155 or Yahara District races. If you have any questions about the this year’s Derby, please email Derby Coordinator, Jason Scott. 1. 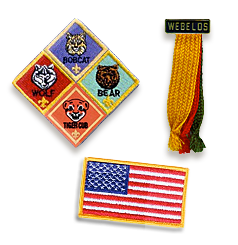 Workmanship should be done by the Cub Scout with the guidance and assistance of his family! 2. Only official BSA Grand Prix Pinewood Derby wheels and axles are permitted — like the ones included in your Pinewood Derby kit. 3. The car must be built in the current Scout year. This is intended to create a level playing field each year. 4. Car testing must be conducted without the assistance of the Pack Pinewood Derby track. The track may be setup in advance of the Derby so Pack Race Officials can test the operation and integrity of the track with old test cars, but no current cars are allowed on the Pack track. 5. Each car must pass inspection by the Pinewood Derby Committee before it may compete (inspection time to be determined). If a car does not pass initial inspection, the entrant will be informed of the reason for failure and may use the time remaining within the official weigh-in period to make adjustments. Inspectors have the right to disqualify cars that do not meet the specifications provided. * Scouts can, but are not required to, use original axle slots that come pre-drilled. Axle slots may be moved to anywhere on the under-body but they MUST follow the Wheelbase minimum-maximum stated above. Special note: The starting mechanism of our track uses a bolt located at the center of each lane to restrain cars before the start. The leading edge of all entries must therefore provide at least 0.5″ of flat surface centered to meet the dowel, and no car parts may extend beyond the starting pin. 7. No loose materials of any kind are permitted on or in the car. The car may be hollowed out and built up to the maximum weight by the addition of wood or metal only, provided it is securely attached to the car. All external decoration or parts must be securely fastened to the car. Parts that fall off the car will not be allowed to be put back on unless a committee member caused the part to fall off. 8. Only dry lubricants (e.g., powder graphite) may be used on the wheels and axles. No object may be placed between the axle head and the wheel, or the wheel and car body — no wheel bearings, washers, bushings, or sleeves. The car shall not ride on any type of springs. The car must be free-wheeling with no supplemental starting devices. 9. Cars must have 4 wheels with the intent that all 4 wheels are touching the racing surface (see below for more about cambering and tilted wheels). IMPORTANT: Wheels can be lightly sanded or polished, but may not be machined in any manner which will reduce the mass or weight, the initial inertia, or the original shape of the wheel. No honing so the wheel becomes convex or concave to minimize the surface-to-surface friction and traction. Only BSA approved axles that came with your kit may be used with the car. Bending of the nails/axles is not permitted, but axles may be polished in a manner to remove burrs and decrease friction. Most importantly, the wheels must be mounted at a straight 90-degree angle with respect to the car body. Cambering of wheels (changing the angle of the wheels) is not allowed. All four wheels must be able to touch the track to ensure no cambering. This is a visual test. Any obvious attempt at having one wheel off the ground or tilted to gain a competitive advantage will be closely examined and may disqualify the car. No axle guards are permitted. 10. In the event of a wheel falling off the scout, with an approved leader, will be allowed to reattach the wheel, but no additional lubricant may be applied. If such failure interferes with the performance of competing cars the results will be considered invalid and the heat will be rescheduled. Cars may not be repaired or otherwise altered during a race session. The only exception to this rule occurs if the car is dropped or otherwise damaged by a member of the Race Committee. In that case, the entrant will be allowed reasonable opportunity to refurbish the car and return to competition. 11. The order of finish in each heat will be determined by electronic sensors located at the finish line, although a supervising race official will be present who may overrule electronic calls in the event of obvious malfunction. 12. For your convenience, a limited amount of tools and materials (glue guns, drills, weights, graphite etc.) will be made available during the registration period for last-minute adjustments. In order to streamline the registration process, we encourage entrants to verify that their cars conform to the weight and dimension limits detailed above before submitting the car for official inspection.